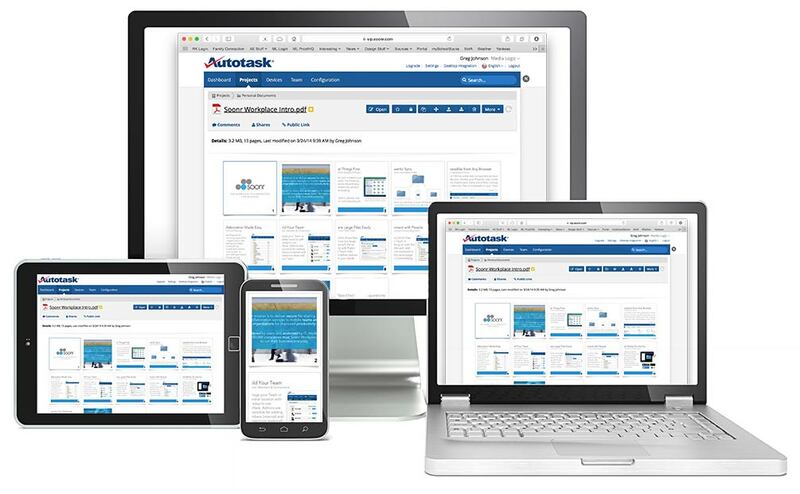 Autotask Workplace is a complete, secure, HIPAA compliant file sharing and collaboration solution that enables your team members to safely access, manage, organize and share files anywhere from any device. It enables productivity by allowing individuals or teams to work on any documents or digital content – from their device – in real time, without fear of security breaches. Autotask Workplace also gives employees built-in security controls that can be set up based on how they need to share information with team members. If your file synchronization and sharing solution doesn’t have all of the above, it might be time to switch to Autotask Workplace.